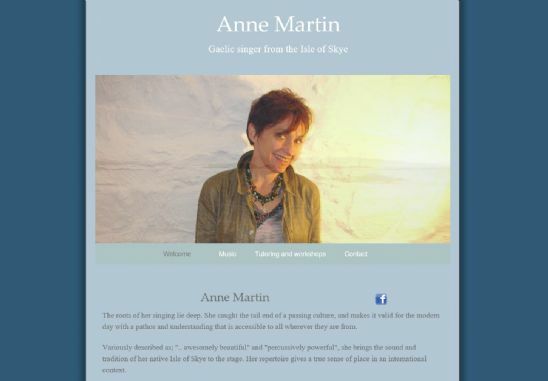 Skye based Anne Martin is a gealic singer using a dotscot domain name for her website. As well as background information about Anne, the website allows you to listen to Anne's music online. You can also find details on the site of tutorials and workshops that Anne runs. The workshops and tutorials are run at festivals, schools and colleges.